Ranking a new real estate investor website can seem overwhelming, especially if you’ve never ranked a new website before. Thankfully there are a few steps you can take in order to get your SEO foundation off on the right foot. This guide on how to ranking a real estate investor website will be assuming you have already purchased a domain name, have gotten your site hosted, and have had someone build the website for you or chosen a pre-made template. The first thing we always do before heading into a new market or starting a new website is to define our target audience. If you have no idea who you’re marketing to, it’s like driving a car without a clear destination. Where does your motivated seller hangout? Are they on Facebook? Instagram? Twitter? If they are on Facebook, what groups are they in? Are you targeting people that own investment properties or people who own their own home? Once you have your target audience defined, you’ll be able to know who to market to, what to say to them, and where they hangout. You will need to write your blog posts to tailor to your specific target (motivated seller, cash buyer, prospective tenant, lease option buyer, etc), but you still need to know where to market this targeted content and what to say in your web pages. One of the best places to define a target audience is through Facebook marketing. Facebook knows more about you than you probably realize, and they will be able to give you information in regards to your target prospect through setting up and running a Facebook marketing campaign. Finding keywords and phrases are extremely important when trying to rank a new real estate investor website. Think of your keywords as your destination and SEO as a vehicle to get you there. You can have the best SEO techniques in the world, but they’re not effective in generating leads if you are going to the wrong location. Spend time on keyword research. Investor Carrot put together a keyword bible which is a great resource to download for free. This will give you a great list of keywords to start your research with. Don’t rely on this bible for all of your research, but strictly as a guide to get you started. Another great resource is given to us by Google for free. When you go to google, type in some of the phrases from Carrot’s bible slowly into the Google search bar. Google will give you what people are searching for in your given market. You can also hit “enter” and when you search for the phrase like “we buy houses + “your city””, at the bottom of the page, Google gives you a set of keywords to use as well. Take these keywords and go to your keyword planner HERE. Once logged into your account, make sure you are searching in your target location. Type in the keywords you found in your research in the first box and click “get ideas”. We are looking for volume, so once you have your keyword list, export it as an Excel spreadsheet. Sort the keywords by volume in Excel and copy only the phrases with more than 30 searches per month. If you only have a few phrases, you may have to select more than 15 searches per month. Paste those new keywords back into your Google keyword planner and hit “get ideas”. Download the new list, and copy and paste this new sheet into your old sheet. Sort by volume and delete any duplicates. You should have a solid list of key phrases that people in your area are searching for. DA (Domain Authority) – This is the ranking power of the whole site. PA (Page Authority) – This is the ranking power of the specific page. We want the PA to be less than 20, and the DA to be less than 40. If the sites in the number one position are over that, you should probably try to rank for other keywords in the meantime or at least understand it will take some time to leap over that person in the number one position. In other words, don’t expect to jump a DA 50 site in 2 months. It’s not going to happen. You need to focus on long-tail keywords that have less competition in the meantime. Another thing to mention is that we are only going after keywords in a specific city. There is far less competition and trying to rank for a national phrase will take a much longer time. Once you have the keywords that you want to target, it’s time to write your content and create your city-specific pages. City-specific pages are pages that are designed to rank in a single location. So for example if your business was operating in the Houston, Texas market, you may want to target cities like Austin, San Antonio, and Waco. You will need to create a city-specific page for each location. Each one will be designed specifically for each city and will have unique content designed for that location. In order to rank higher, you will need to have unique content and you should never copy and paste a page and replace only the cities. Also, create city-specific landing pages for each major city you want to rank in. You can rank one city page for multiple keywords, so only create one page per city. The main thing here is to make it legible. Don’t keyword stuff and say: “we buy houses cash | cash for houses | we buy homes” No one will click through that. Make it something someone will want to click on. 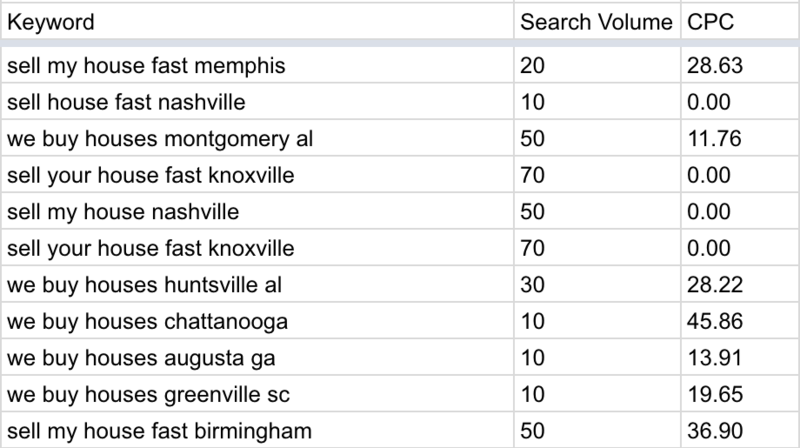 Make sure you get your main keyword in your url + city. Google doesn’t give as much weight to this as they used to, but it is still important. Make sure your main keyword is within the first 100 words. Use your main keyword 2-3 times at most throughout your copy. Make sure to name your image file the keyword you are trying to rank for. Make sure to fill in all alt tags on your images. Don’t keyword stuff. Simply sprinkle in keywords with what your image is about. This is very important. Before you claim your citations, make sure you have a dedicated phone number, address, and business name. If your citations are different all over the internet, Google will ding you and you will need to redo all of the work you just did. When we first started our real estate investor website, we outsourced our citation building and we were grateful we did. Building citations for your real estate business is time consuming and tedious. There are better things that you can spend your time on than creating citations. If you are interested in having your citations built for you, you can check out our page on citation building. 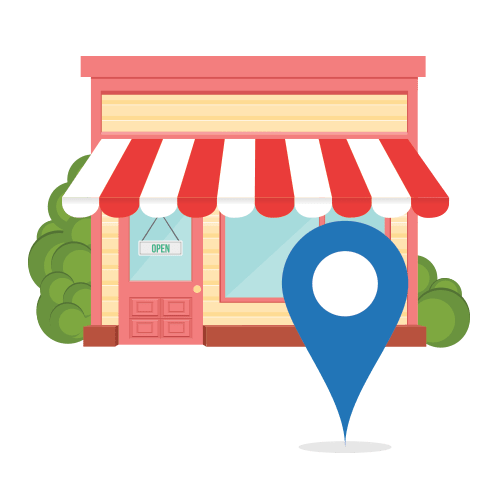 I would recommend claiming your Google My Business and Bing by yourself. You will need to make sure the information is correct and they will send you a card to confirm your address. Once you have finished your citations, add all of your city-specific pages to your Google + profile. Google gives you tons of space to add links, you might as well use it. Once you have all of that setup, the next thing you need is something to share your content on your social media profiles. We use Buffer. It’s $10/month and you can link multiple profiles there. All-in-all SEO takes a lot of work. It is very difficult to rank a site in position 1, but if you’re dedicated to building your website and running your market you can cash in on the number 1 converting lead in our business. 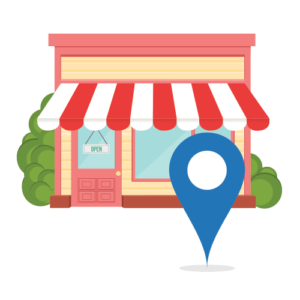 SEO has taken our business to the next level and it is definitely worth the time. Fill in all the form fields to schedule a consult call.